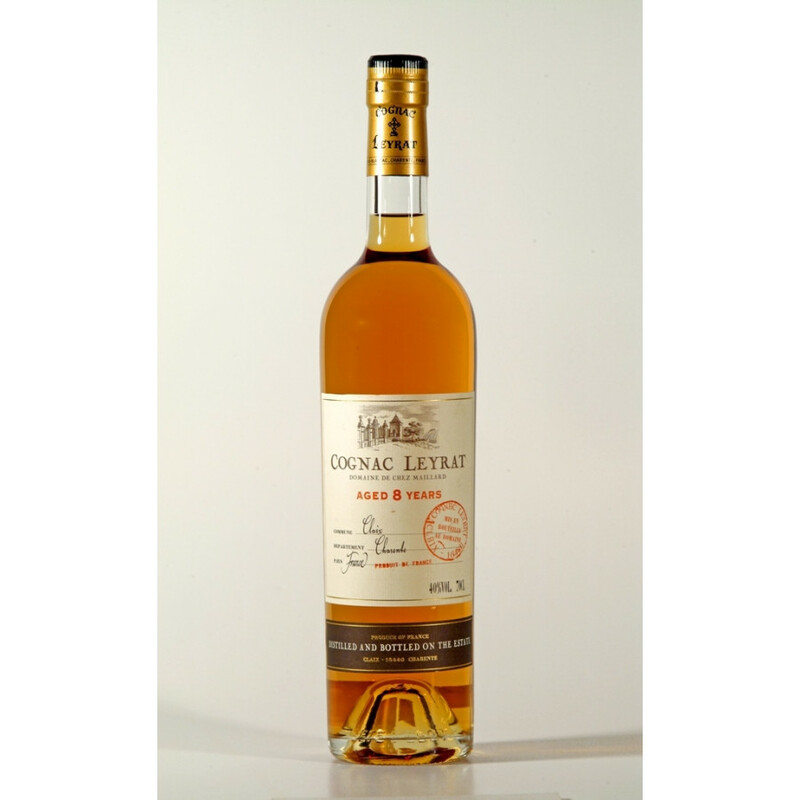 Leyrat 8 Years Old Cognac aged for eight years, a Fins Bois cognac. As this is over 6 years, we define this cognac as a Napoleon Cognac - which is sort of between VSOP and XO. A great 70cl bottle, we like the packaging of Leyrat in general.